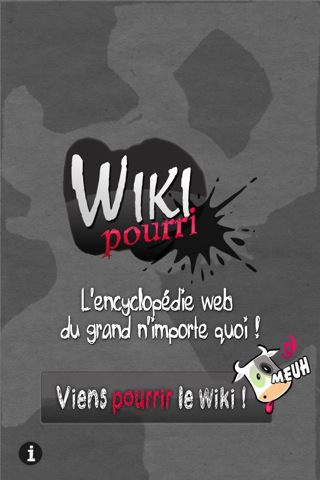 WikiPourri - a place to vote on the latest jokes, and to share your own. 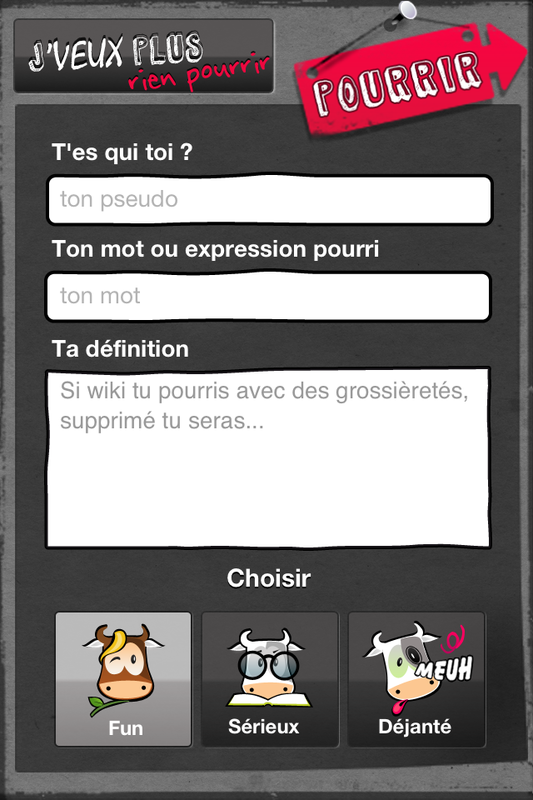 App was in Top 25 in France for several weeks. 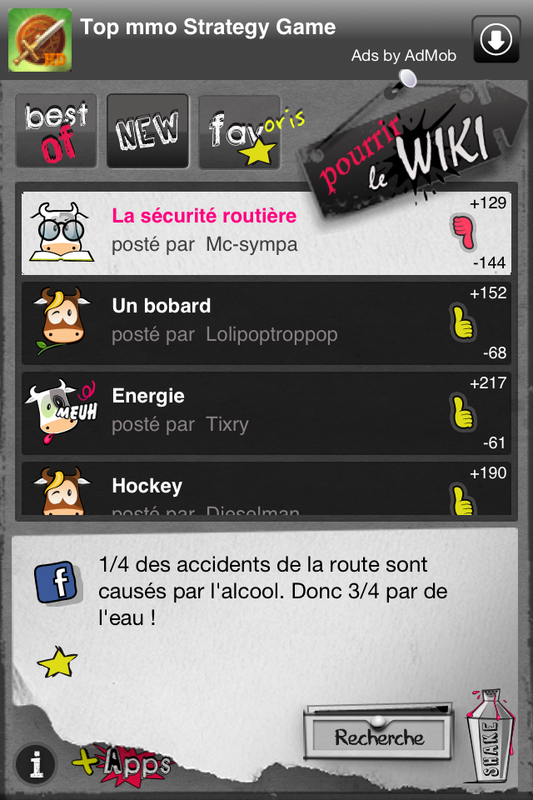 The translated English version is WikiPun on the US App Store. I synced animation elements with sound. And I wrote an XML parser to load the jokes. 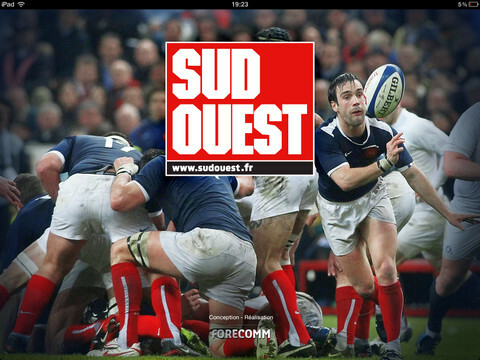 A news reader for the latest on Rugby. 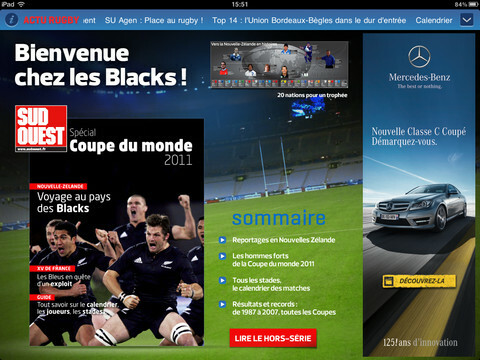 App built for the 2011 Rugby World Cup. I wrote a download manager for queuing image downloads and caching images along with the JSON data, which allows the app to work offline. 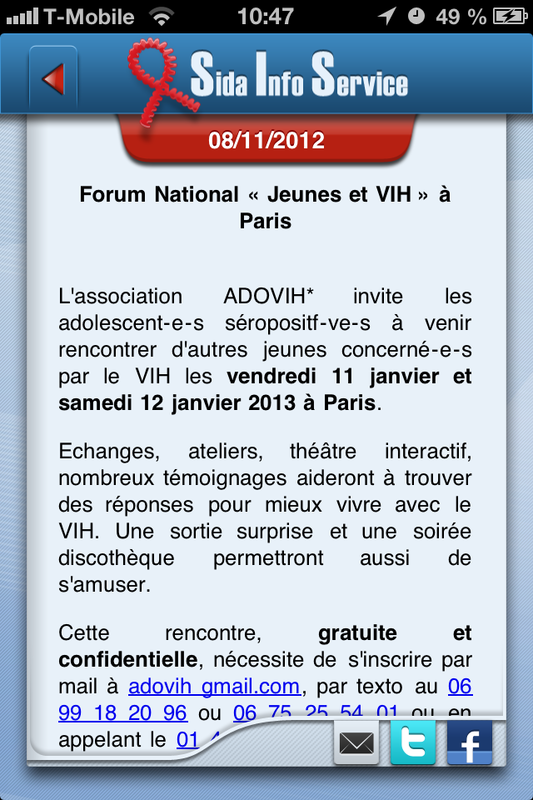 AppVIP promotes apps and allows users to get cash rewards from writing reviews on AppStore. I created a custom UI which adapts itself according to downloaded JSON data (counter value, progressive bar size, button title/shape/color/animation). I animated the bottom tab bar and cell buttons, working closely with a graphic designer over many iterations until we had the perfect solution. 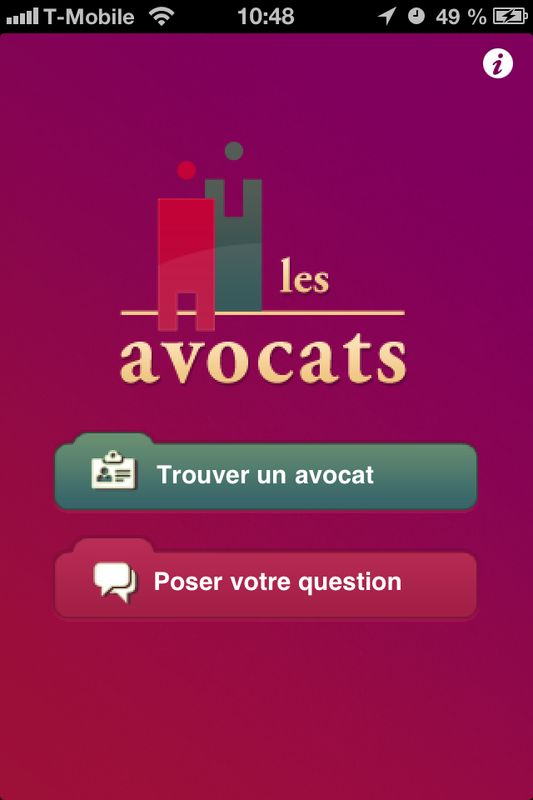 App for finding a lawyer by name or address in France, and for asking a bot law-related questions. I formatted specific SOAP-like queries and wrote a parser for XML responses to get bot answers from a webservice. 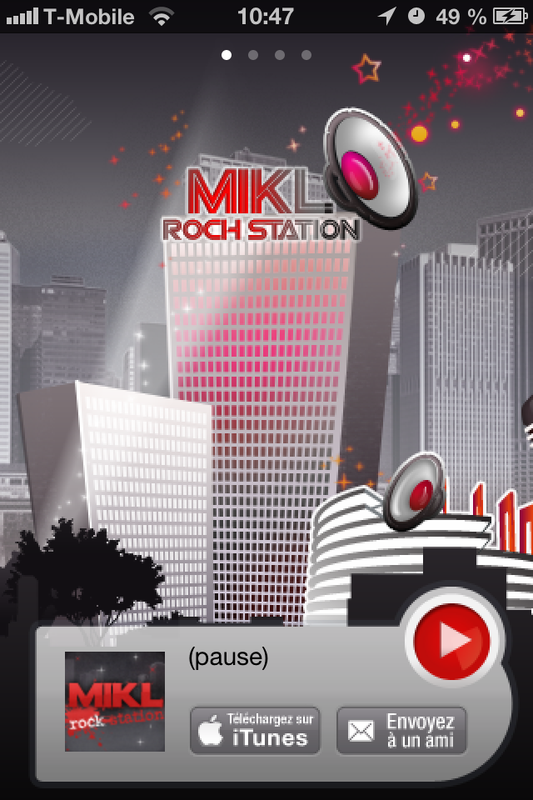 Streaming app for French radio host MIKL's web radio. 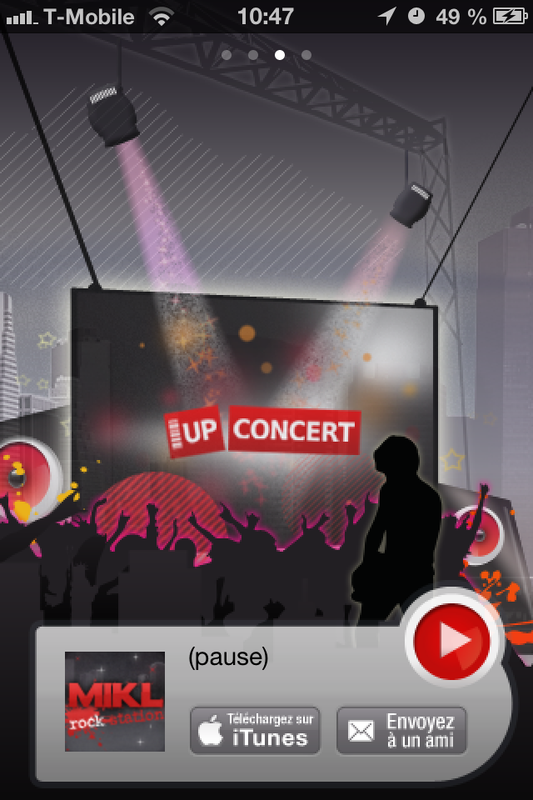 Allows the user to check the next 24h playlist, to find current track on iTunes and concerts in France (using service UpConcert) by city and by artists. I used Matt Gallagher's AudioStreamer to setup a streaming player for an AACv2 audio feed. 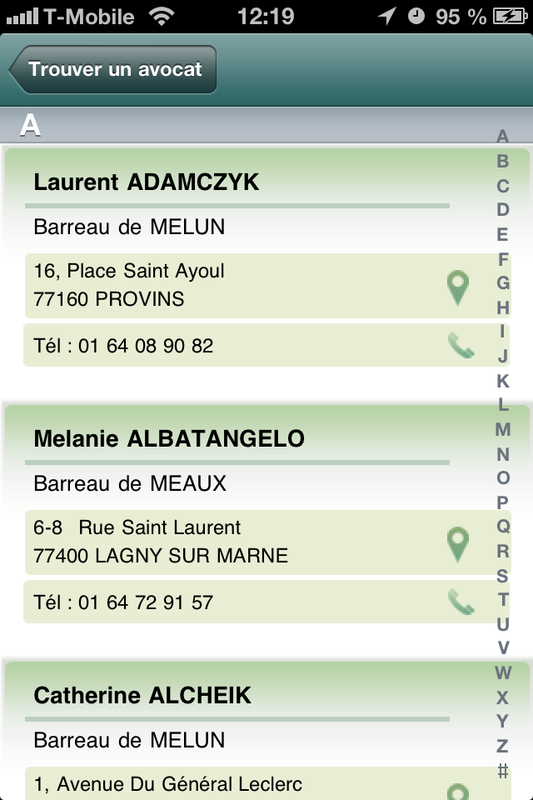 I managed to sync current artist/title metadata (from separate XML feed) with audio feed to within 15 seconds. 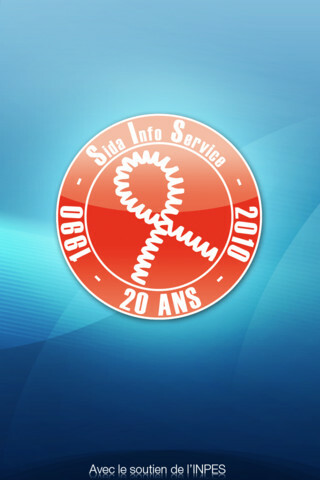 HIV/Aids prevention app for French NGO Sida Info Service. 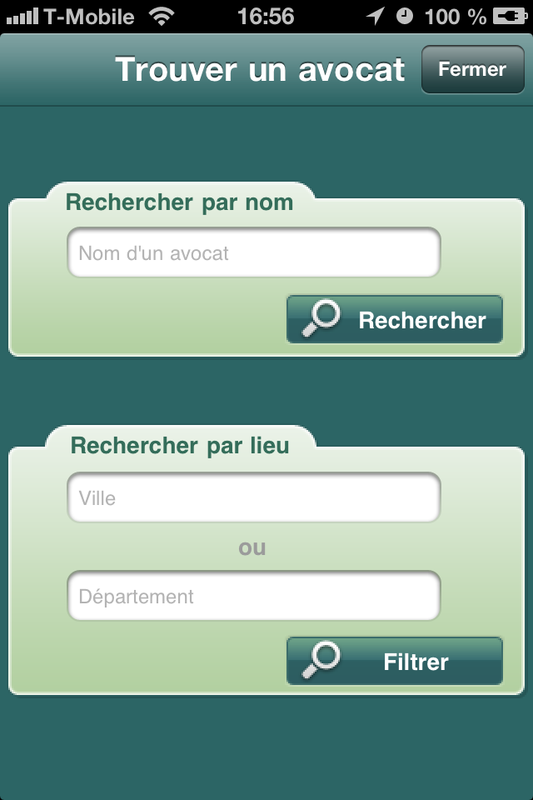 Contains a news reader and a form to ask experts questions or request to be called for anonymous support. I built a touch-responsive carousel menu which mimics 3D perspective. News items are retrieved in JSON format. 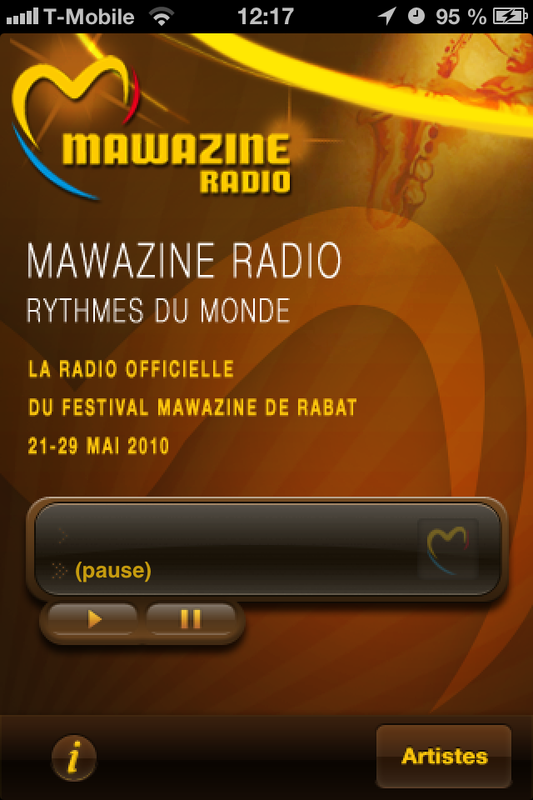 Streaming app for Morrocan Mawazine Music Festival's web radio. 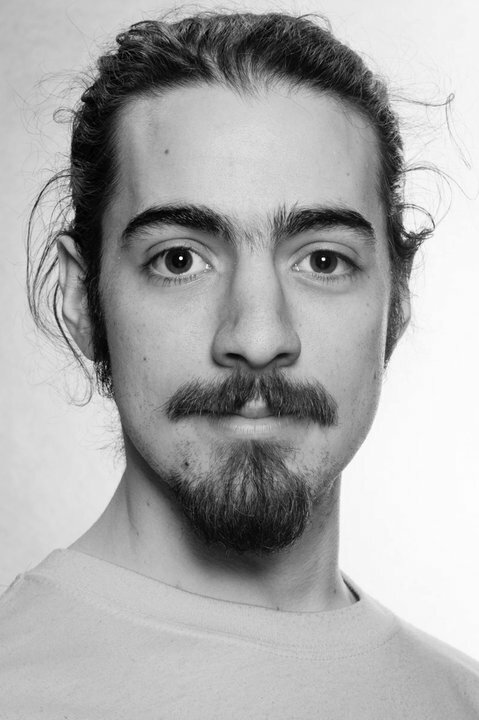 View bios of artist lineup. 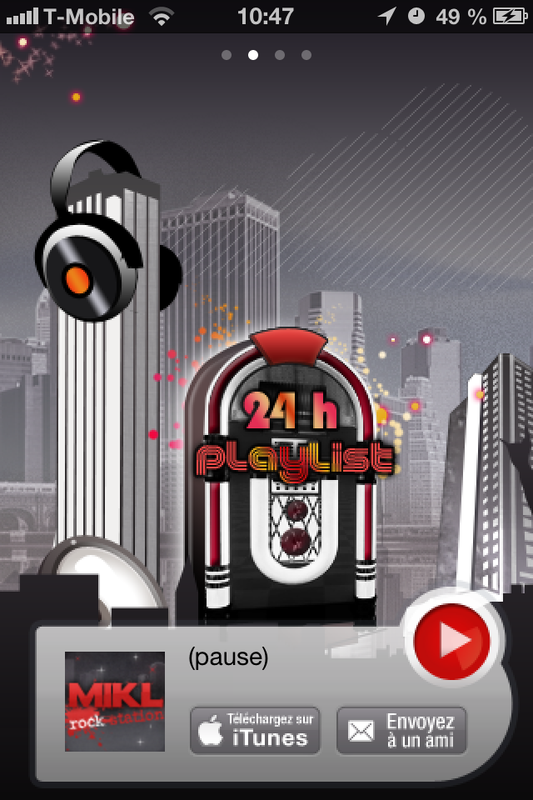 I built this app in 2 weeks by reusing the AudioStreamer from MIKL Rock Station.